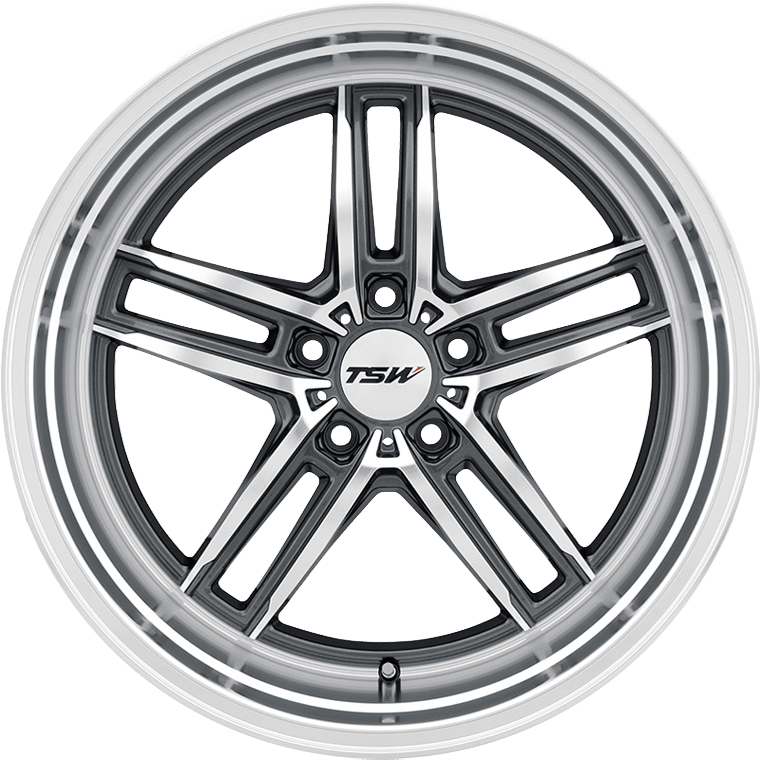 TSW Suzuka offers a true classic motorsports wheel for the retro modder in the 21st century. TSW Suzuka offers a true classic motorsports wheel for the retro modder in the 21st century. The wheel features a deep pseudo step lip designed to work with modern TPMS systems and still give the classic car Sunday look. A race inspired 5 split spoke design integrates into the PCD lug holes for a clean design and is then lightened with dimensional ascents. Suzuka is exclusively available in a Gloss Gunmetal with Mirror Cut Face and Lip.